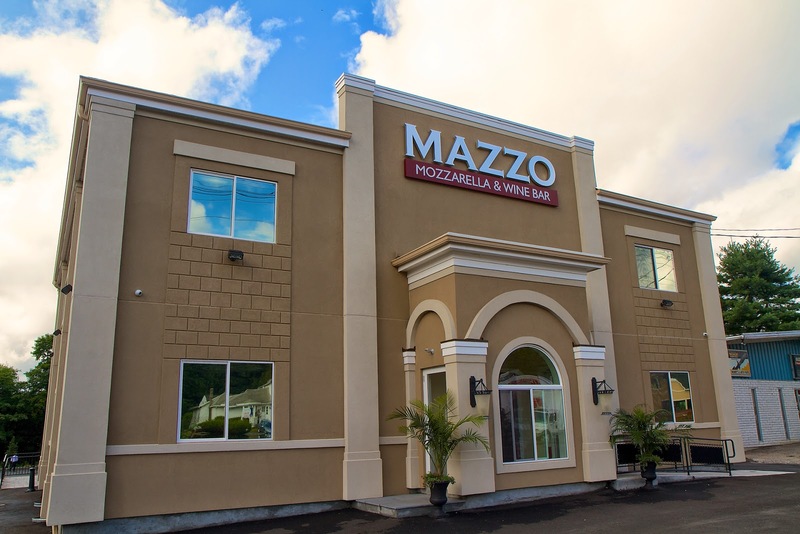 Mazzo on Newtown Road is the latest entrant to the Danbury dining scene. Only open for a few months, it's already generating some great buzz. This isn’t the usual Italian joint. Owned by the father and son duo Agim and Artan Ismali, Mazzo delivers a big city dining experience with a modern, chic décor and beautifully presented eats. Agim has been in the restaurant business since coming to America in 1974 from Albania. He started as a dishwasher working his way up the ladder until setting out on his own 30 years ago. 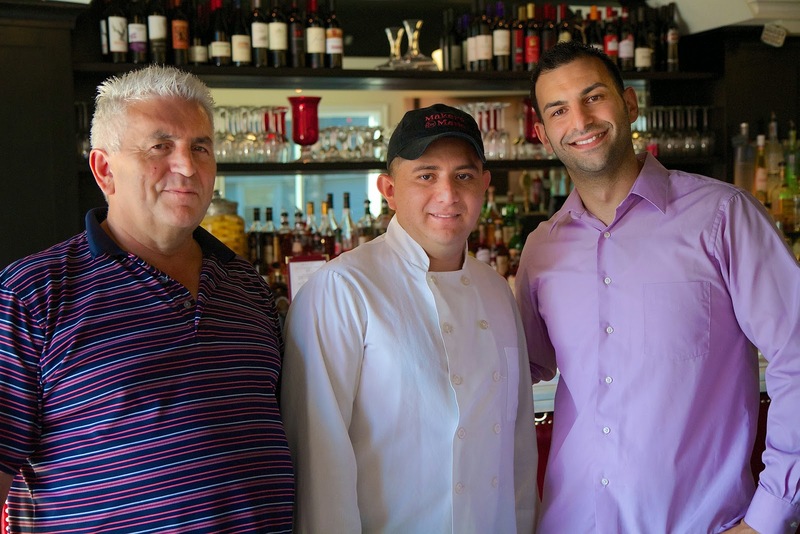 For the past 14 years, Agim has owned Casanova restaurant in Shelton, CT.
His hard work and determination seems to have rubbed off on Artan, who even while attending college, always worked at the restaurant. After graduating from UCONN, Artan thought he left the restaurant world behind, getting a job at Sikorsky. It appears he was pulled back in. “I had marinara sauce in the veins,” he joked. With Mazzo, Artan said they wanted to do something no one else was doing in Danbury. They felt that there was niche they could fill. Mazzo is located at the site of the former Old Sorrento restaurant. The address is the only thing the two places have in common. Agim and Artan literally built Mazzo from the ground up. The brand new building features high ceilings, black and white tiled floors and chandeliers outfitted with dimly lit red light bulbs. 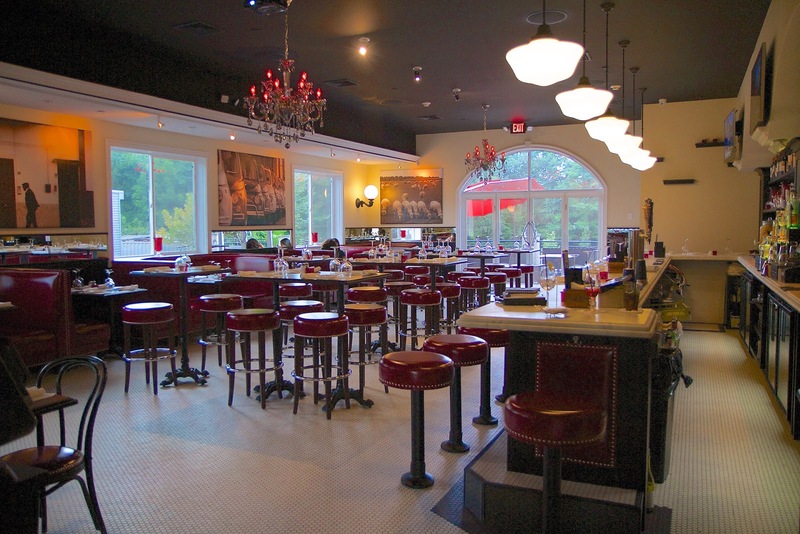 The booths, chairs and bar stools are covered with rich red leather and the walls are adorned with sepia-colored prints of old world New York City. There is an expansive white marble-topped bar and ambient music playing in the background. It exudes a youthful vibe and big city cool. 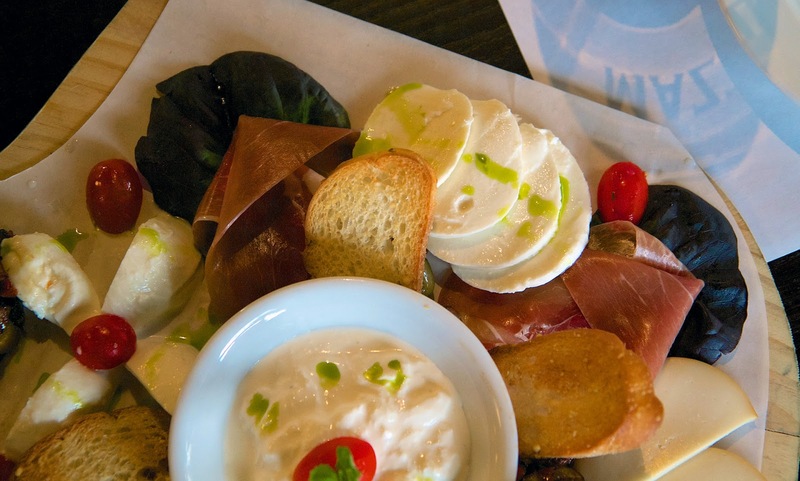 Mazzo calls itself as a mozzarella and wine bar with a focus on Italian tapas. All of the 50 wine offerings are available either by the bottle or the glass, making it easy to pair different wines with different tapas. There is a full bar so you can also order beer or cocktails. We were happy to see a nice selection of beers on tap like Allagash and Lagunitas. 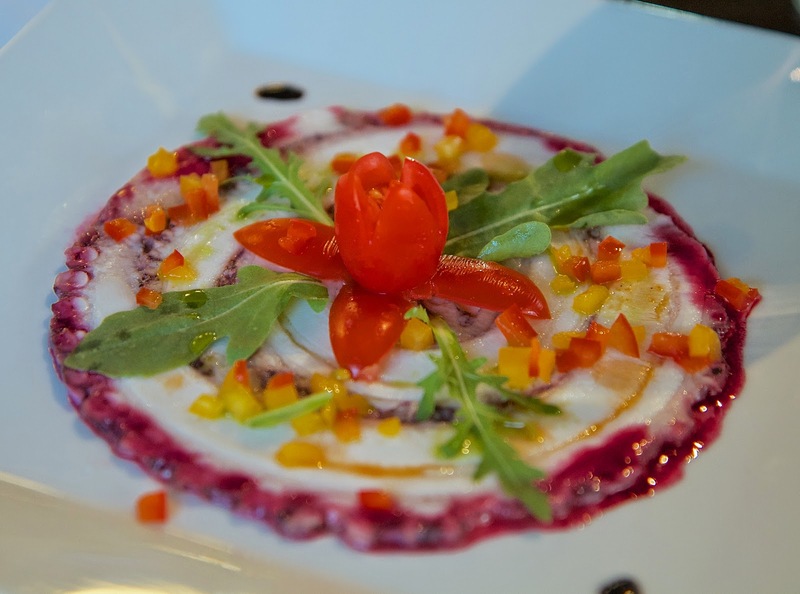 Mazzo has an extensive menu of not just tapas but also paninis, pastas, seafood and meat entrees as well as wood-fired pizzas. 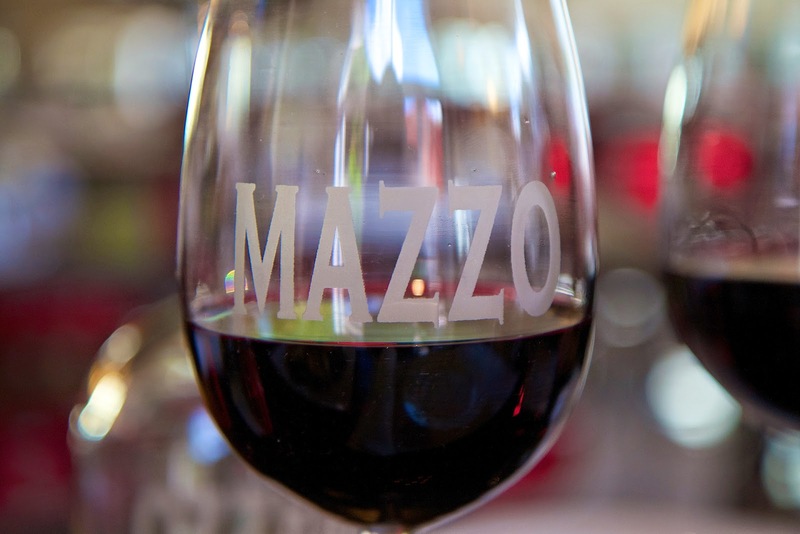 If you’re looking for something more traditional, Mazzo does serve many Italian cuisine staples like chicken or veal parmigiana. While there will be certain consistent menu items, Artan said they plan to change things up every quarter along with the seasons. Over a couple of glasses of red wine, we tried a smattering of tapas. 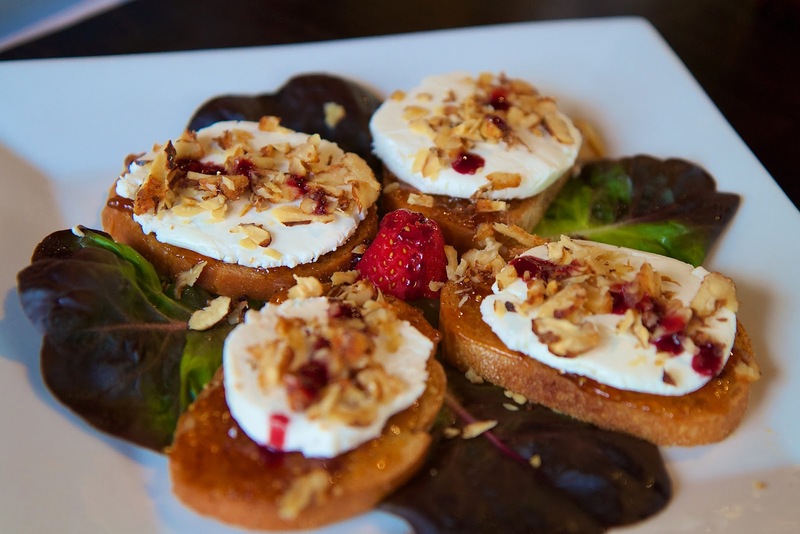 First up was a fig bruschetta with fig puree, goat cheese, and crushed honey walnuts. The bread itself was incredibly light and airy with a perfect crunch. The flavors were a wonderful balance of sweet and earthy, savory. 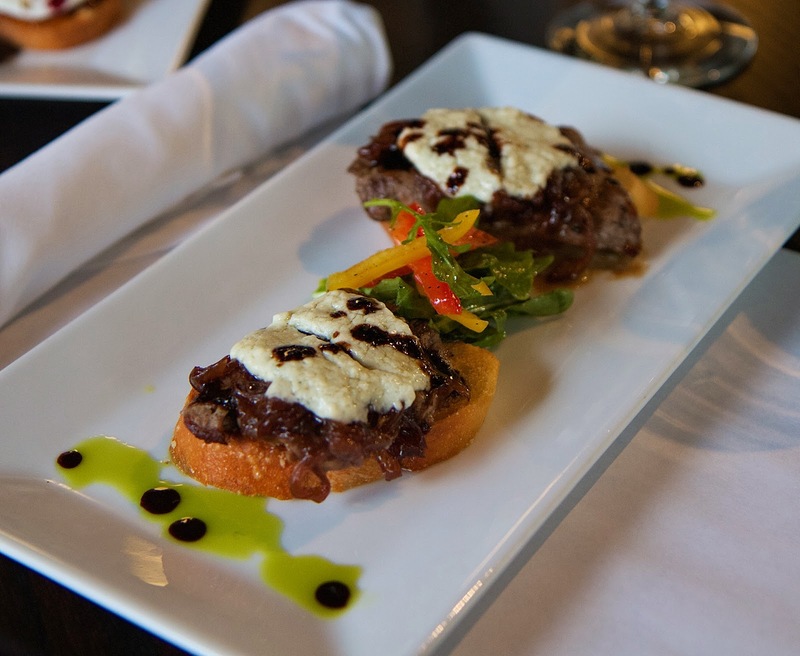 Our second tapas was fillet mignon bruschetta with fillet, caramelized onions and melted Gorgonzola cheese. The meat was incredibly tender and again the flavor profiles perfectly balanced each other. What’s not to love about pungent Gorgonzola and sweet caramelized onion? Next in our tasting line up was thinly sliced octopus with finely diced tomatoes accompanied by drops of beet oil and tomato oil. The octopus was tender enough to cut with our forks. It was fresh, tasting simply “of the ocean”. The flavors were clean and light. Our fourth and final tapas was their signature dish - the mozzarella sampler featuring buffalo mozzarella, fresh mozzarella from a local farm in Hamden, burrata, straciatella and smoked mozzarella served with roasted peppers, prosciutto and crostini. What more can I say, other than it was cheese heaven. The ingredients are clean and simple. The preparation is creative and beautiful. The décor is cool and hip. The staff is friendly and attentive. I love that this is the type of restaurant you’d expect to find in lower Fairfield County, but it is right here in our backyard. In addition to the large bar area and dining room, Mazzo has an outdoor patio and an upstairs party room that can accommodate up to 200 people. They have happy hour specials as well as late night drink specials. Each item shown looks awesome! I bet the food is amazing since they use fresh and seasonal ingredients! If I'm ever out that way, I'm definitely stopping by! We really enjoyed everything. I hear they now have a lobster polenta on the menu that's outstanding. Definitely stop in when you're in the area.